Investisseurs & Partenaires is a private equity investor exclusively dedicated to small and medium-sized companies in Sub-Saharan Africa. Our mission is to foster champions of African entrepreneurship and demonstrate the strong potential of impact investing to address development challenges in Africa. 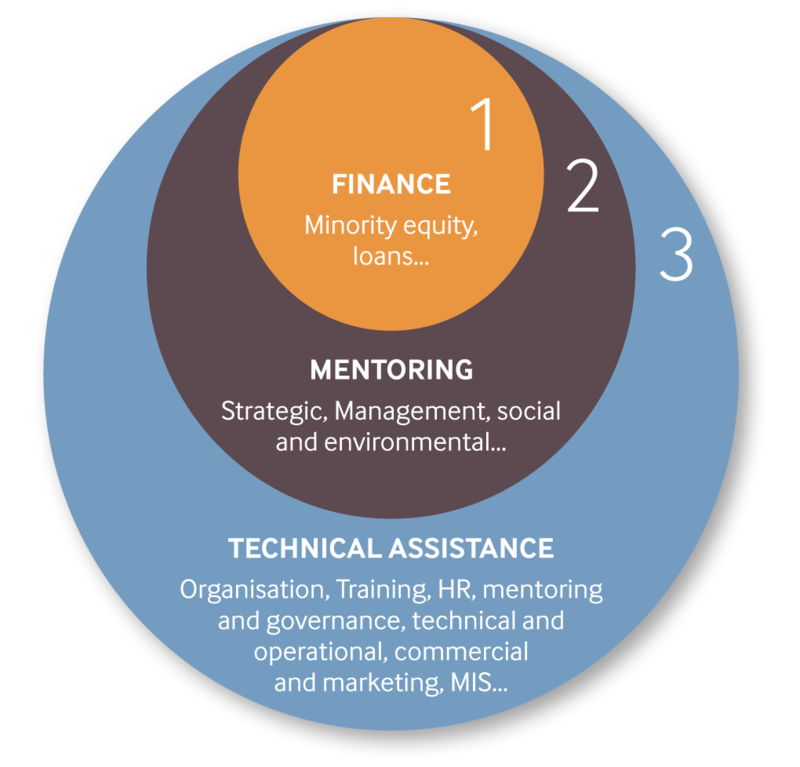 I&P is an active partner bringing its skills in management, strategy and finance with an entrepreneurial approach. Our model hinges entirely upon the entrepreneur, with whom we wish to establish a long-term relationship based on trust and sincerity. Capacity building and training in a variety of fields based on the investee business specific needs: management information system, industrial/technological, sales/marketing, organization/HR, training/governance, etc. Contributing to the emergence of a new generation of African sustainable and responsible entrepreneurs and enterprises, following the best ESG practices, is at the heart of our mission. The investment process involves 5 key stages. Our approach is based on a rigorous methodology, which takes into account ESG (Environment, Social, and Governance) risks and opportunities throughout the investment cycle.